I’m sure most of you are familiar with the agonizing pop and acrid smoke of a tube amp gone wrong, or the familiar buzz and cut of a battery-powered pedal gasping for its last breath. Or perhaps you're familiar with the incessant white noise tinnitus of a dollar-store daisy chain, or that strange shortwave Mexican radio station that comes through your vintage compressor if you tap the cable just right. All of these things are a product of power, and most of our pedals run on a form of power called DC, or direct current. The power that comes from our walls is AC, or alternating current. When we get a wall wart for a pedal (or anything electronic for that matter), within that box there is a transformer that transforms the voltage (110 or 220, depending on where you live), into a set DC voltage and amperage, like, for example, 9 volts. There are those that may ask, “Why do I need to spend $170 USD on a ‘isolated’ power supply (whatever that means...), when I can get this $30 power supply on Amazon that does the same thing? It’s all the same 9 volts." 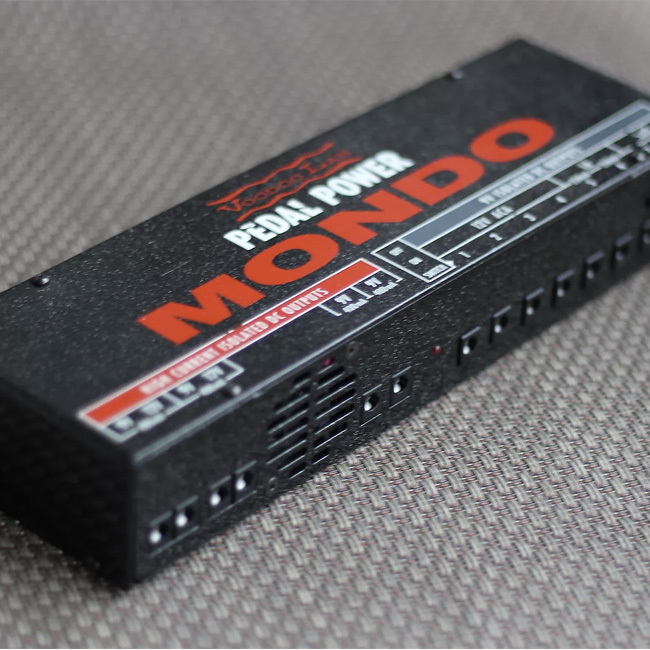 While it is true that 9 volts is 9 volts on paper—pedals, stages, venues, and building wiring are all variables you have to consider. You could have shoddy wiring in your venue that’ll send your gear all out of whack. You could have light fixtures, Wi-Fi signals, and 60 cycle hum from AC mains that all contribute to hum, buzz, interference, and, of course, Mexican radio stations. An isolated power supply protects your pedals from all of those variables to some degree, by “cleaning" the power from the wall mains and isolating each output independently, so your vintage Fuzz Faces won’t be smattered with digital interference from your digital delays and reverbs. 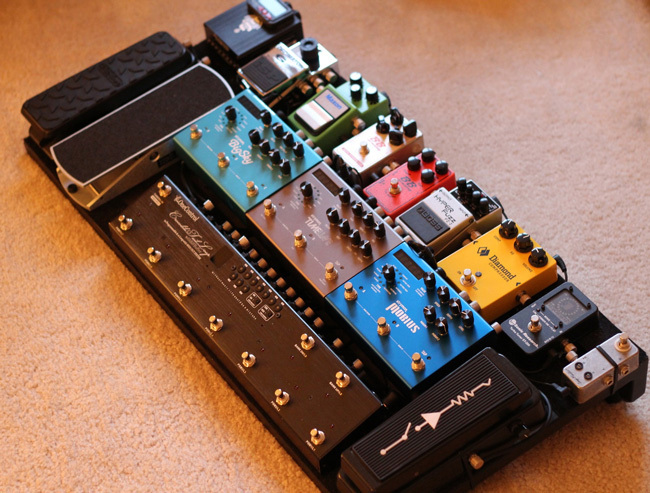 How many pedals do you have? Do you have pedals that require something other than 9v? 12v, 18v, or 24v? 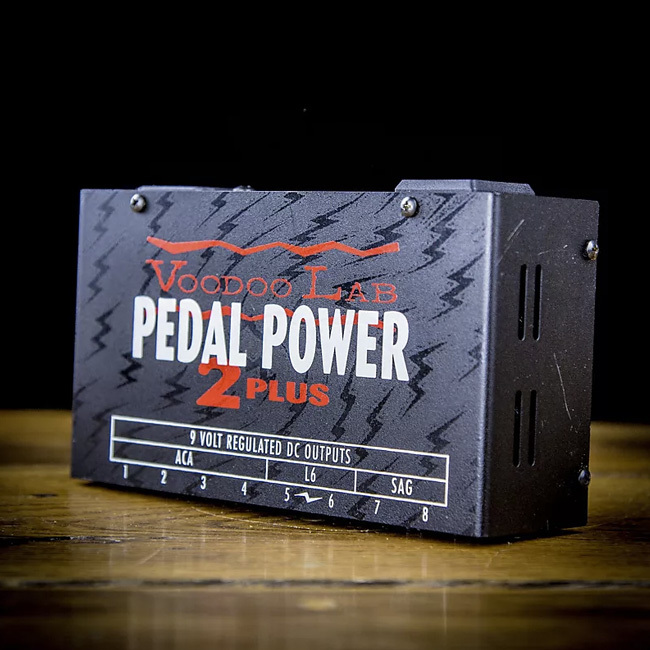 Do you have pedals that require higher amperage than 100mA? Do you need a courtesy outlet for AC-powered effects? 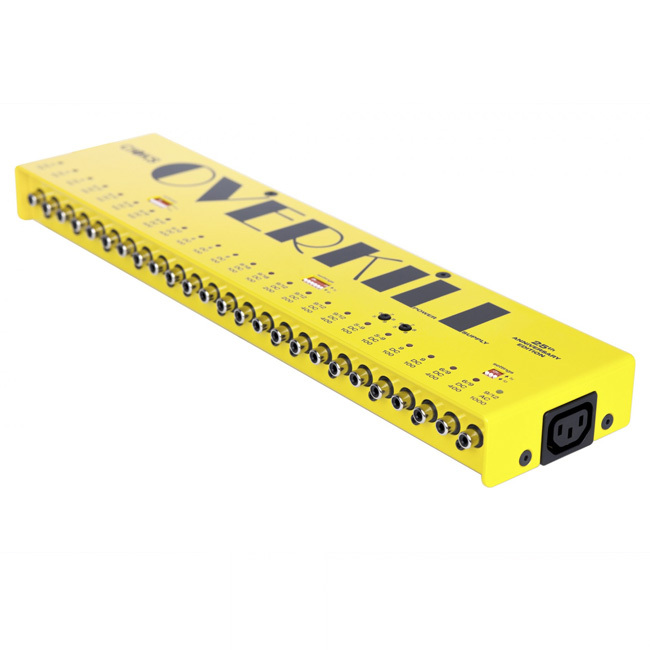 Can the supply fit and/or be mounted on your board? Do I need international switching for other countries? 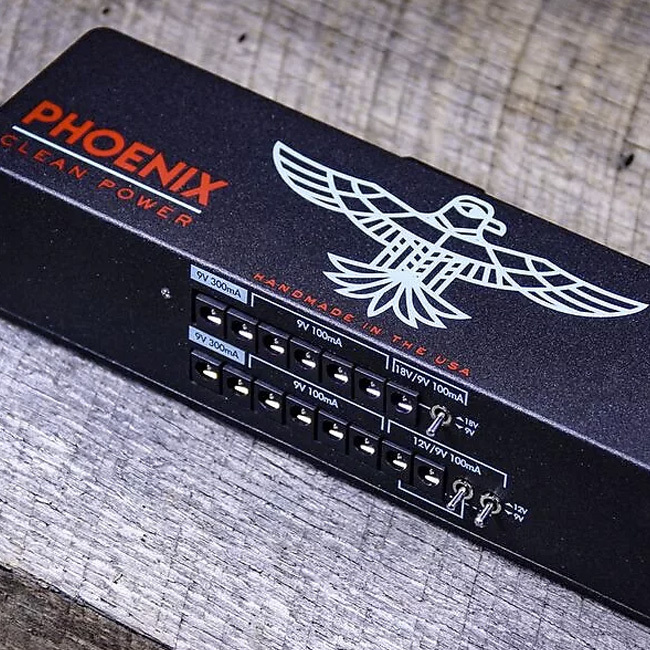 We have broken down the power supplies below by number of outputs, the different power permutations, bare price per output, and any other special factors that you should consider before making the plunge. The classic isolated power supply. 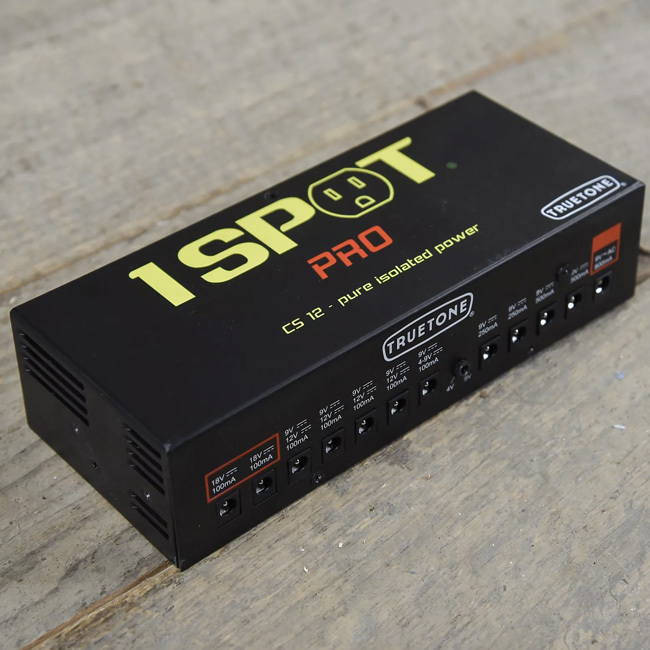 One of the first on the market and one of the most trusted brands in power. These units feature courtesy outlets (for AC effects or charging your phone), and, from my personal experience, they are dead silent. 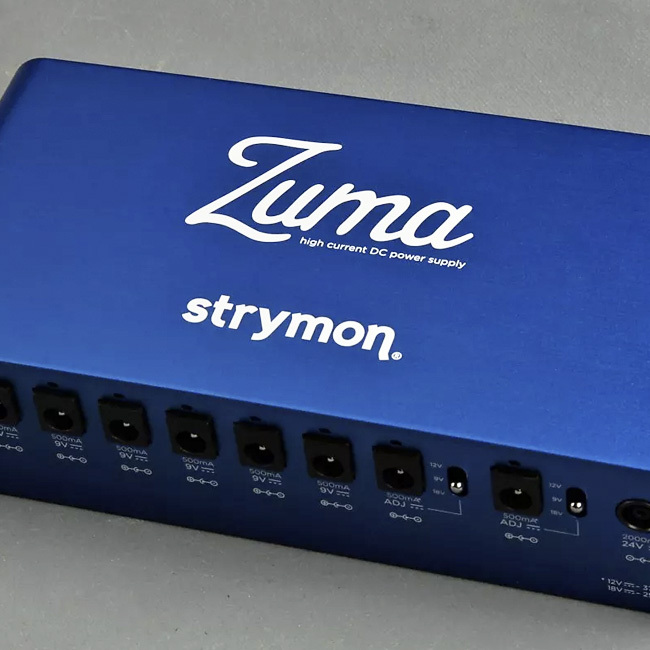 A sort of newcomer to the power game, Strymon has brought their offerings into a more modular format. 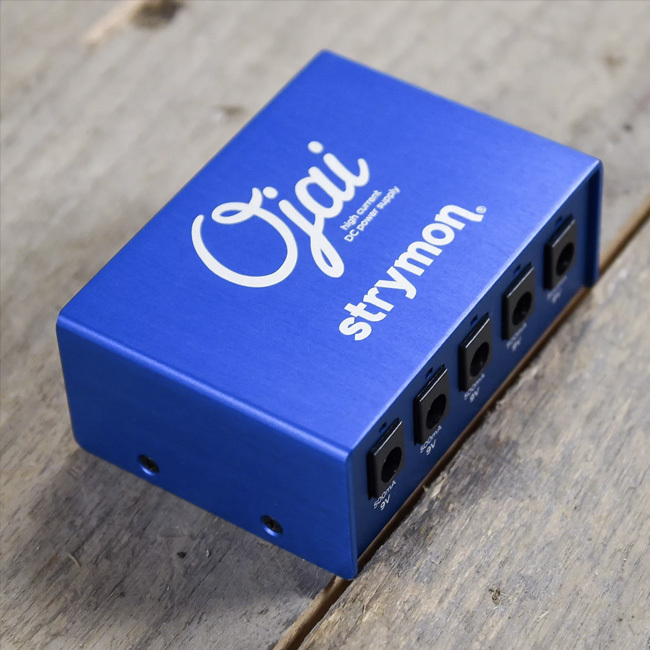 They offer two tiers of power supply with the ability to add on more “expansions," as needed, in the form of the Ojai units. Both units feature international mains voltage switching, which is essential for world touring. 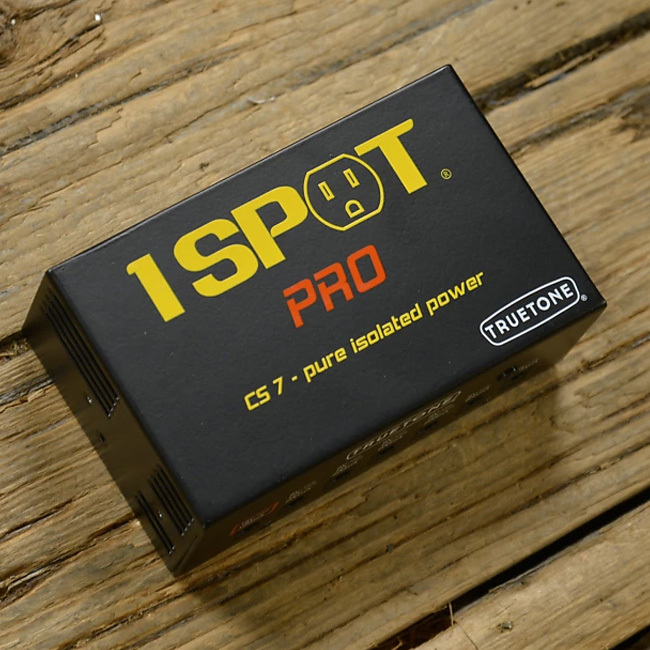 Creator of the controversial 1 Spot daisy chain, Truetone has now moved into creating affordable, isolated power supplies that pack plenty of spec for the price. Having personal experience with these units, I can say they are very quiet, even with the unruliest of pedals, and sport a wide variety of power for every need. 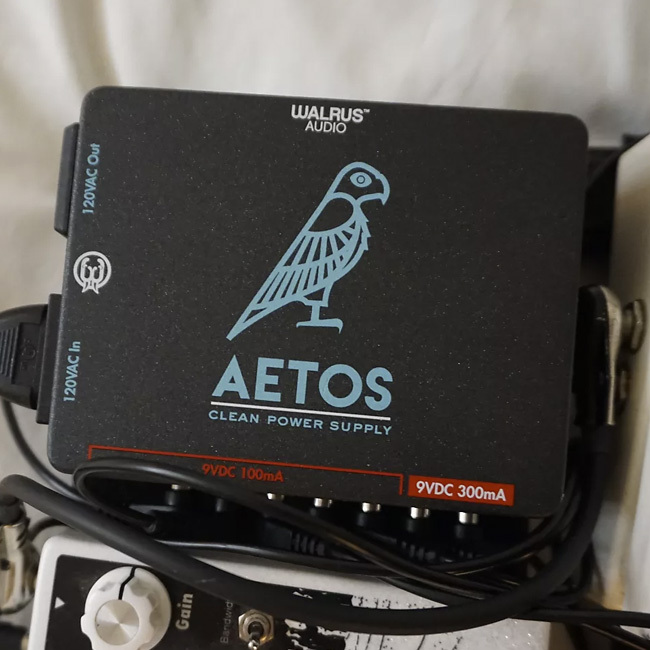 Mostly known for their forward-thinking pedal designs, Walrus Audio has applied their knowledge of sound and circuits to their power supplies, resulting in a concise and easy-to-maneuver product that molds itself to any rig. 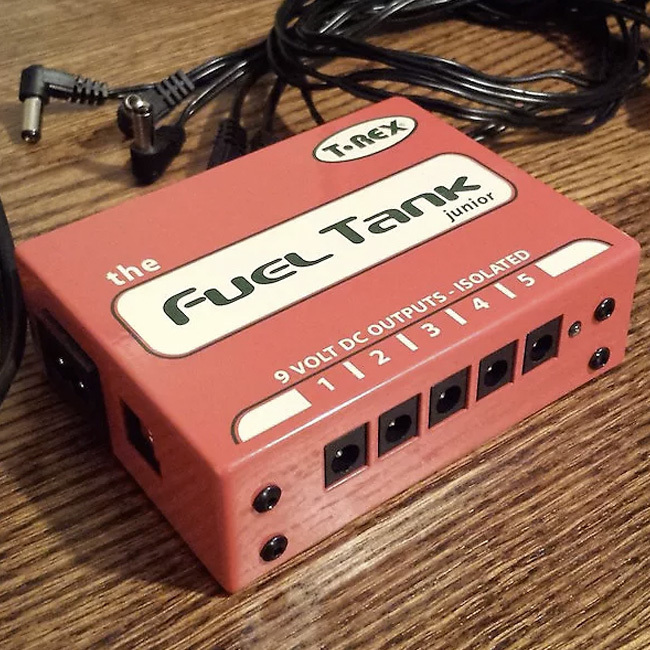 Denmark’s T-Rex has been known by many as the pedal company that looks to the past to create a new future for guitar effects. 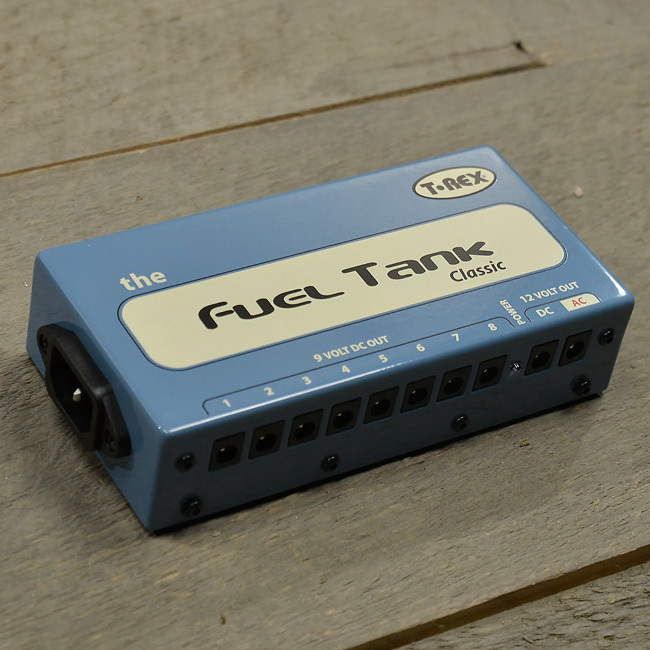 Their designs have been used and exalted by many musicians, and to this day their Fuel Tank has been a mainstay on many pedalboards across the world. 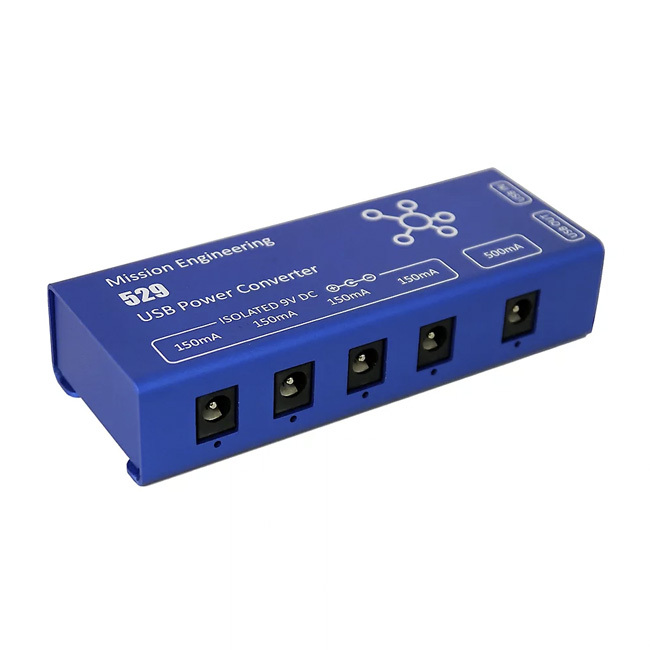 A unique USB-powered power supply that offers 5 isolated outputs and a USB out to charge your phone or device. 25 outs. Slated for a 2019 release, anything this ridiculous and amazing deserves a mention.